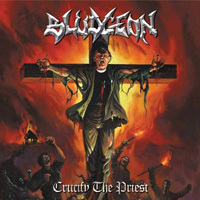 Bludgeon is a unique metal entity from Chicago that is not afraid to cause mayhem. The first band signed to Magic Circle Music, Bludgeon takes extreme metal by the balls and doesn’t let go. Bludgeon has earned several distinctions in their relatively young career. When Manowar bassist and Magic Circle Music founder Joey DeMaio discovered the band, he agreed to produce their debut album, Crucify The Priest – an honor never before bestowed upon a band other than his own – and signed them to his label. DeMaio then introduced the band to Metal Blade Records CEO Brian Slagel, who recognized that the band had immense potential and agreed to distribute their debut album worldwide. Such signs of confidence from metal elite speak volumes about Bludgeon. The Bludgeon beast is no stranger to touring. 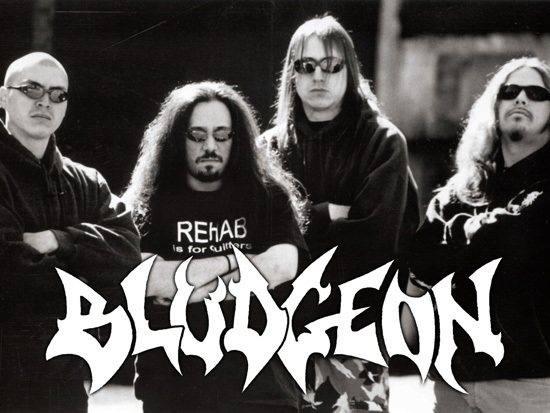 Having performed at the Metal Meltdown III in Asbury Park, NJ and as support act to the legendary Manowar on the Warriors Of The World Tour 2002, Bludgeon is a band that has spread the crusade of metal.